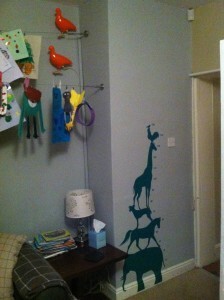 Designing for children is fab! 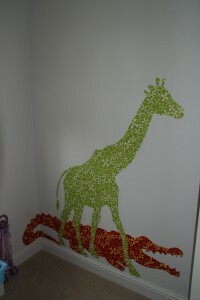 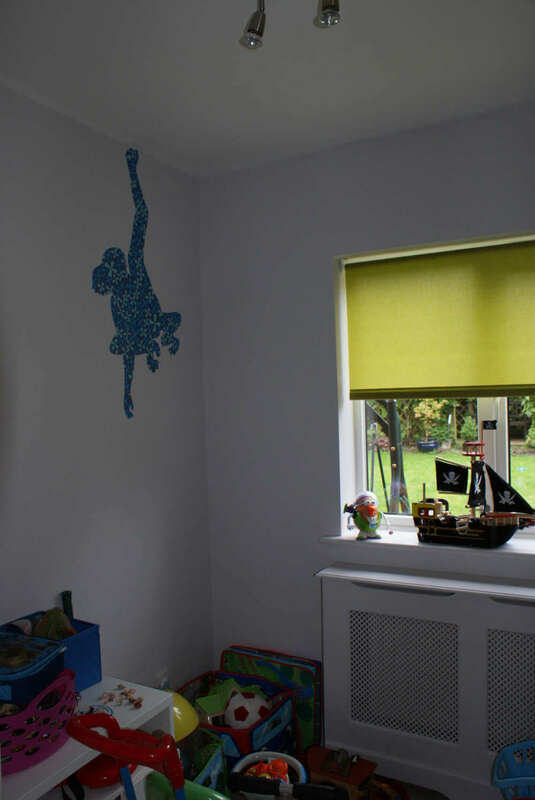 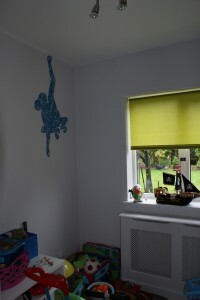 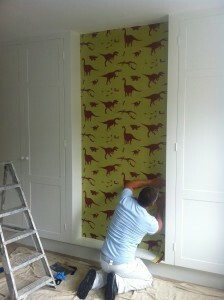 Over the last year I’ve completed a good few designs for children’s bedrooms and nurseries, with clients wanting to give a bit of oomph to the room and make it special, but without spending terrific amounts of money. 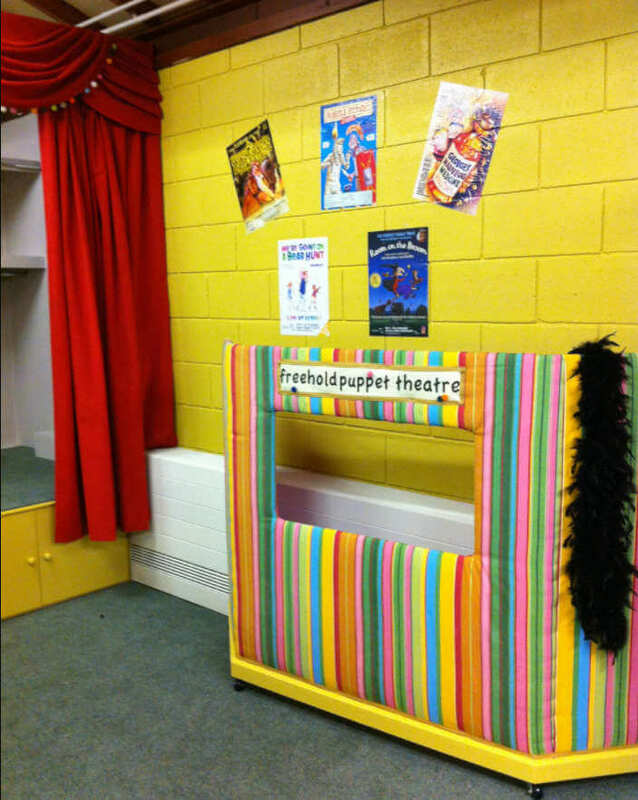 Here’s some of the work we’ve completed – using vintage wallpaper stickers, creative children’s wallpaper and finishing with a bespoke theatre and library in a primary school! 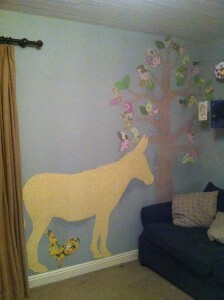 Pigeon wall lights, animal growth chart and a large Tree, Donkey and Chicken from vintage wallpaper bring the playroom to life! 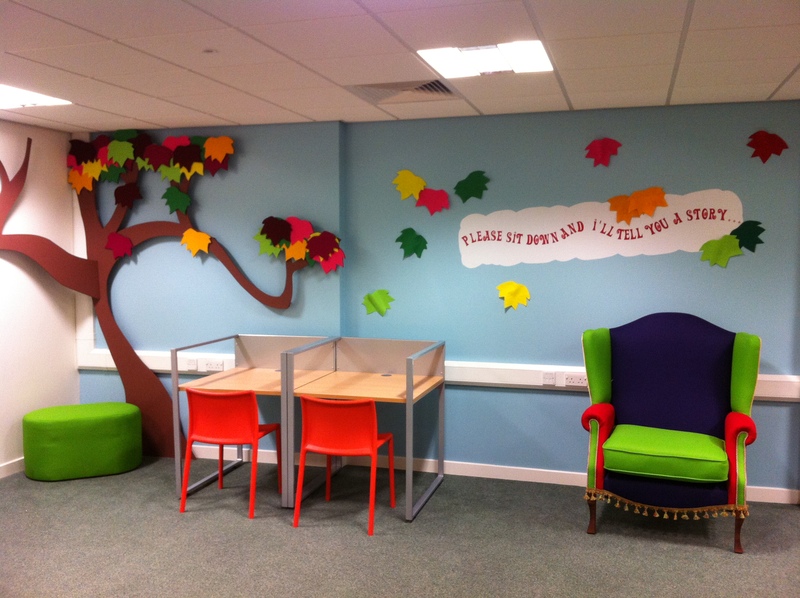 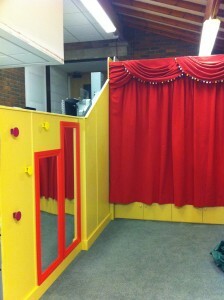 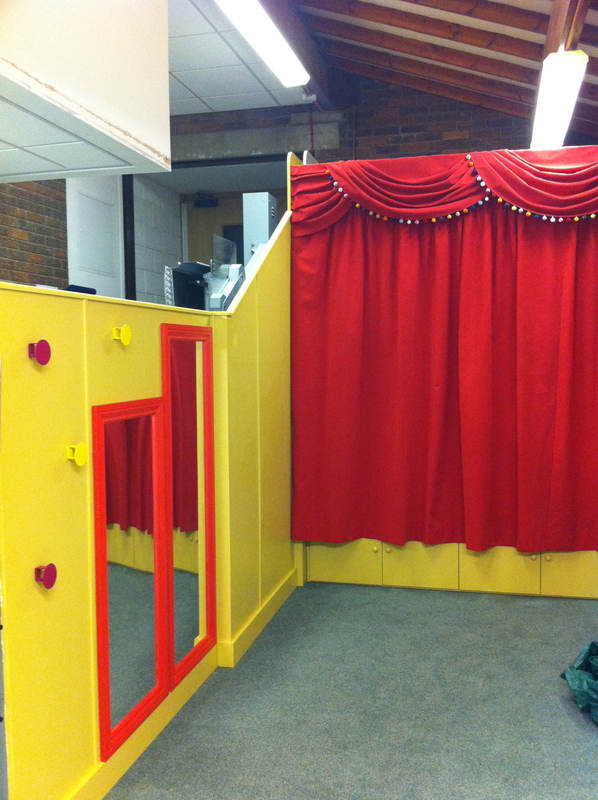 ….together with renovating their library complete with a Dr Seuss style tree and big story time chair!